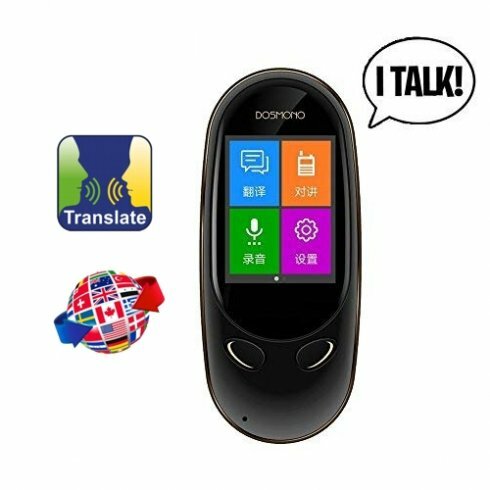 Two-way voice translator DOSMONO Mini S601 with WiFi/3G and 2,0" touchscreen supports 72 languages. 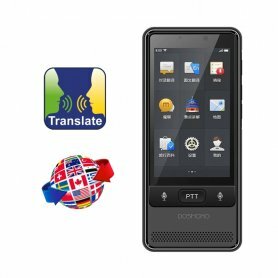 Two-way voice translator DOSMONO Mini S601 with WiFi/3G and 2,0" touchscreen supports 72 languages. 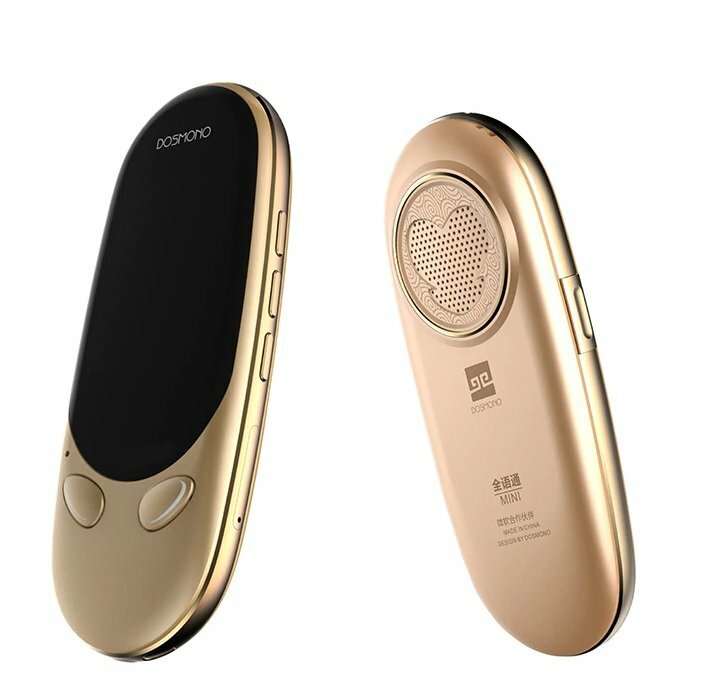 It is an innovative, multi-functional, electronic two-way translator that includes, except other things, "press to talk" function (press and talk based on the radio walkie-talkie), WiFi connectivity, 3G network and many other features beyond your imagination. 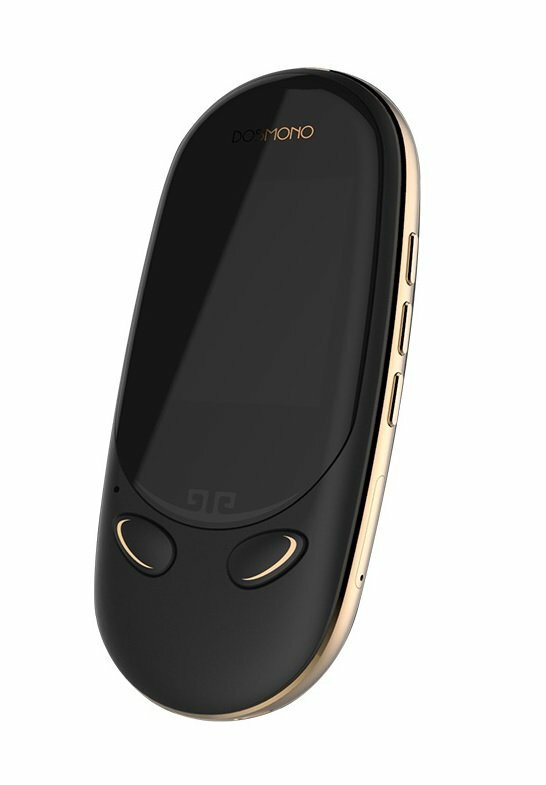 The full color 2,0" touchscreen provides convenient control of individual device functions. 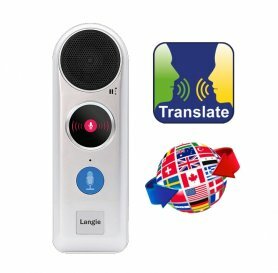 The electronic translator is suitable for everyday use whether on holiday or when working abroad thanks to its small, light and prestigious design. With support of 72 languages your travel limits will be unlimited, and you will no longer be limited with worries to travel to the foreign countries due to the language barrier. The translation of sentences and texts (speech) will be a matter of course for you. No additional charges for updates or other hidden charges. No need to register personal data or install an app into the phone. 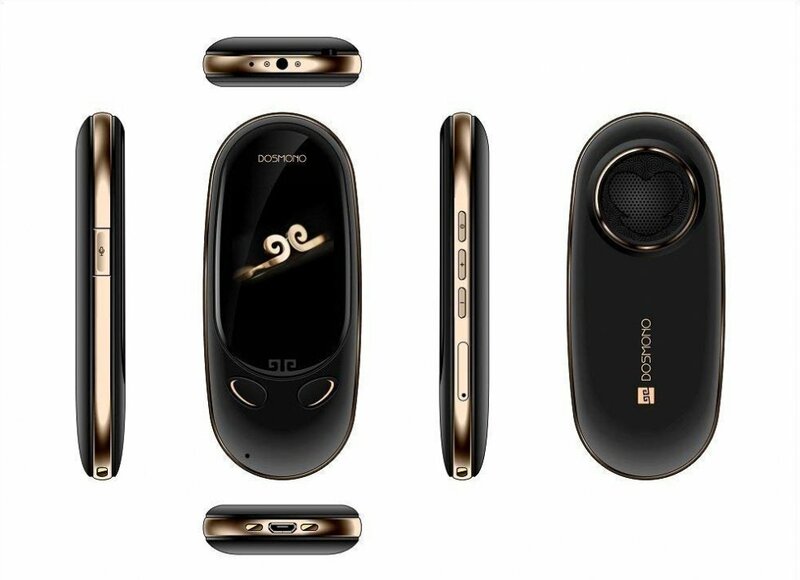 The function Smart Note lets you record voice comments that can then be exported to a .txt file. Support for 8 languages in Offline translation - Chinese (Mandarin), English (United States), German (Germany), Spanish (Spain), French (France), Japanese (Japan), Korean (South Korea), Russian (Russia). With cutting-edge technology in the world from company Microsoft Azure, the translation recognition rate is up to 97%. Travel for your dreams and know new places and leave the foreign communication to a revolutionary translator. 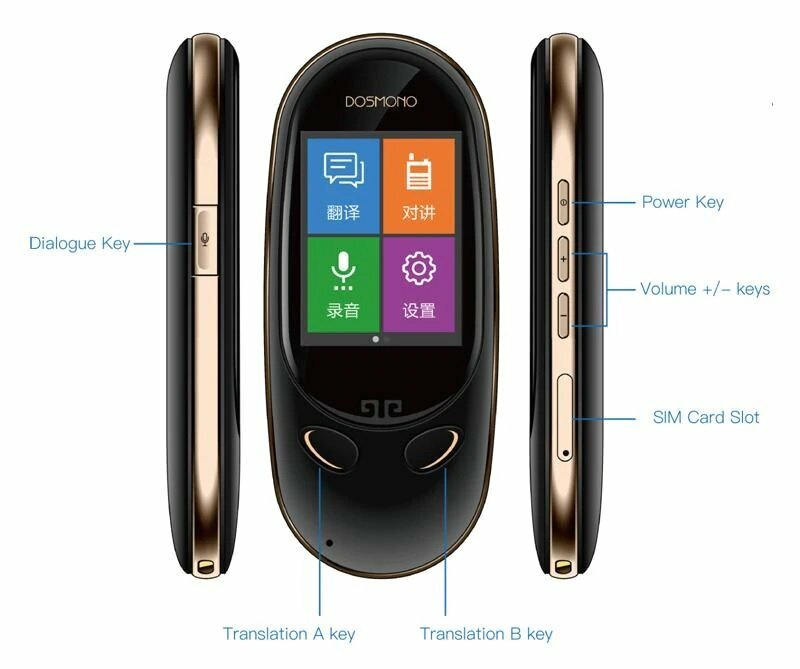 Based on the global 3G network signal, you can create a communication group between users of DOSMONO translators. 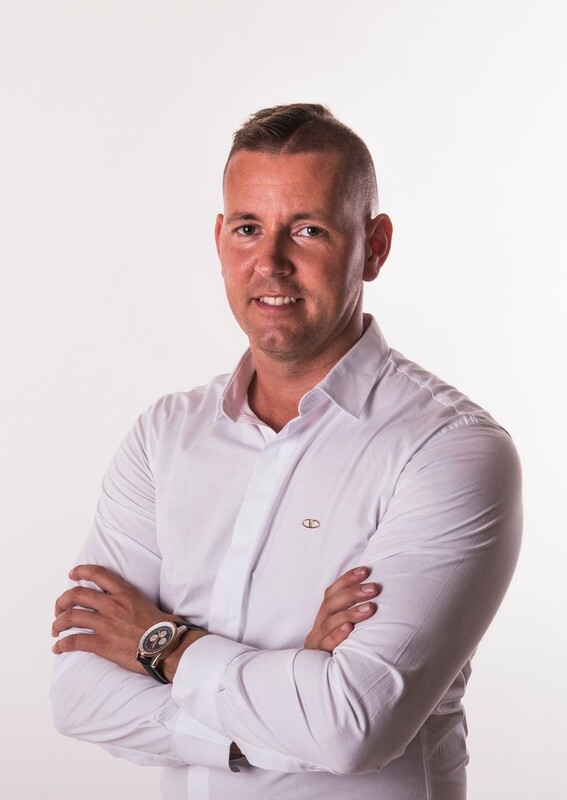 You generate a communication code to create a private group, and you can communicate with your friends or business partners. You can create up to 6 channels to meet multi-step requirements during business meeting, travel, and so on. At the back of the device, eject the Nano SIM card holder using the supplied tweezers. 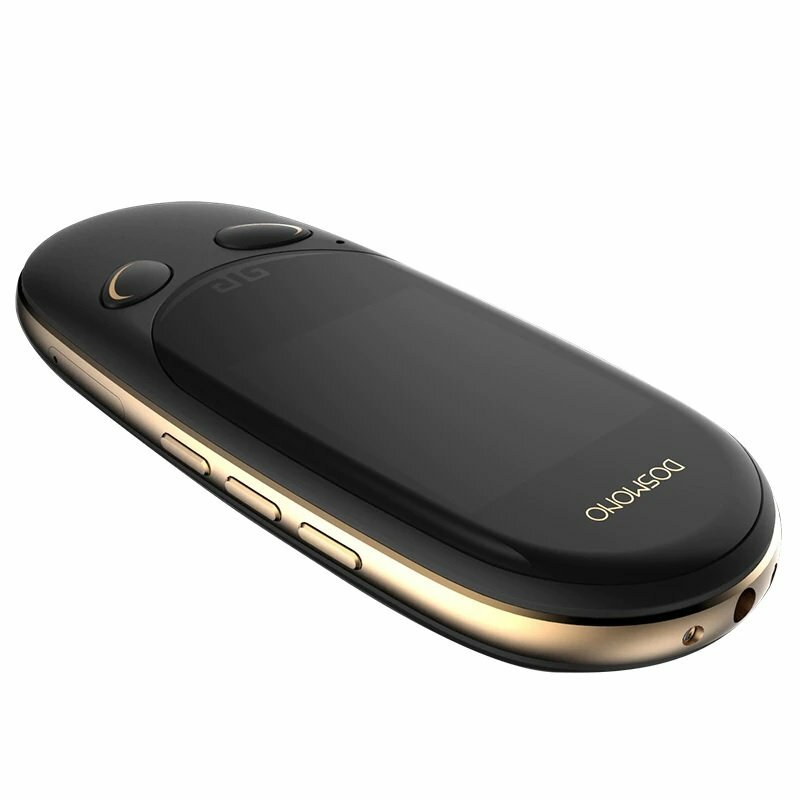 Subsequently, insert the SIM card into the holder with the gold chip down and re-insert it into the device. English, Chinese, Arabic, Danish, German, Spanish, Australian, French, Italian, Japanese, Korean, Portuguese, Russian, Vietnamese, Thai and many others.